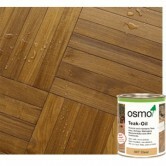 Wood oil is a great alternative to varnish when protecting your wood floor, furniture or decking. 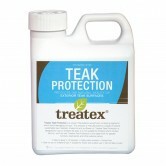 If the wood product is unfinished or the protective layers have worn away then it is at risk of water damage and penetration of dirt, which may be irreparable. An oil finish protects the wood from deep within and forms a protective, microporous surface which doesn't not crack, flake, peel or blister. A microporous surface allows the wood to breathe, provides better air quality and is anti-static (attracts less dust) - ideal for allergy sufferers. 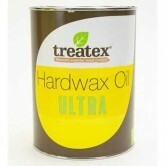 Oil has a great liquid resistance, is very easy to maintain and partial renovations can be carried out easily prolonging the life of your wooden product. 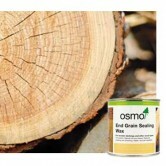 Oil based products provide a hardwearing, durable protective top layer for wooden flooring and furniture. The oil soaks into the surface of the wood and provides a natural appearance ensuring that the beauty, charm and attractiveness of the wood are still evident. They make the perfect choice for any residential property as scratches are less evident and cleaning is simple and straight forward. 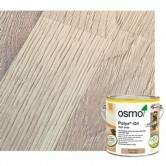 For further information and advice, have a look at our article: How to oil a wooden floor and read our Wood Flooring Guide. 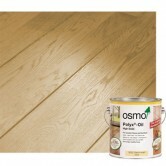 Why should I choose an oil finish for my flooring and furniture? If you are thinking of having an unfinished floor in your home, then it will need protecting from daily wear and tear before it can be used. By using a oil you are maintaining the beauty and character of the wood, whilst giving it the long lasting protection it requires. 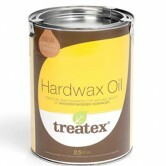 Our range of oil products include clear oils which give a natural finish and also oils that have colour tints to enhance the shade and appearance of your wood. 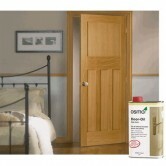 You can also find oils in a matt or a satin finish and some that even have special anti-slip properties to give added protection to you and your family. Yes, if you are looking to add the finishing protective layers to your wood, and you would like an alternative to oil, then have a look at our range of Wood Lacquers. Both oil and lacquer will protect you flooring, decking or furniture from daily wear and tear and help to keep it looking its best. 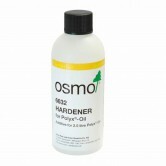 Why not read the following: What is the difference between oil, varnish and lacquer? For further help and advice on any of floors, accessories or finishes then please either come into our showroom or contact us and we will be more than happy to answer any questions that you may have.